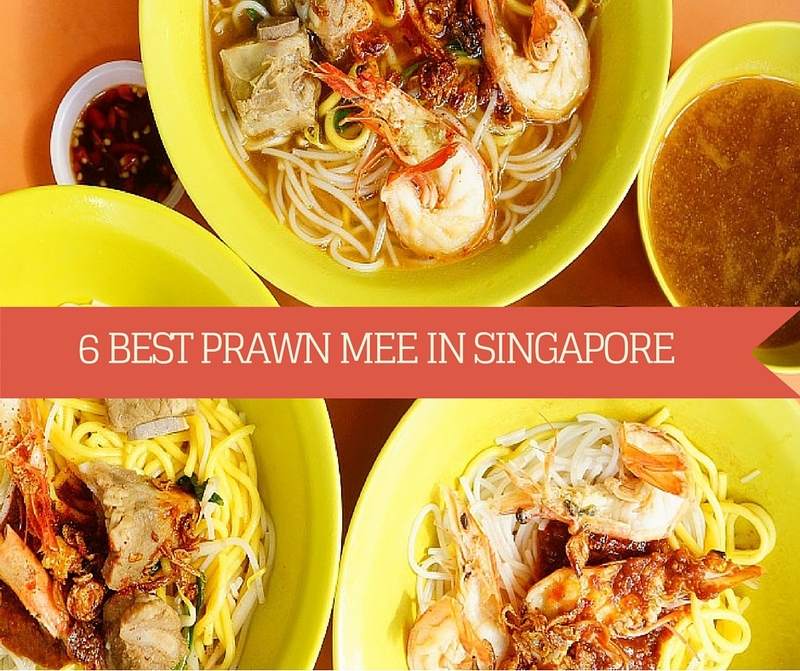 Our Great Prawn Mee hunt has come to an end – and it’s finally time to see who tops our list! We have tasted prawn noodles from more than 20 stalls – some famous, some not, to unearth gems and inevitably some duds. We even tasted some stalls twice or thrice for due diligence. Are we tired of prawn mee by now? Yes. But was it worth it? Totally. That said, we observed that despite Singaporeans’ complaints about the rising prices of hawker food, you’d find them unflinchingly handing over $20 for a bowl of premium prawn mee. Which goes to show that price is not a boundary to enjoying good food – ordering a bowl of prawn noodles for $10 to $20 has become commonplace. With such great margins, it’s no wonder that even young enterprising people have been jumping on the prawn mee bandwagon, ushering in a prawn noodle boom in Singapore! 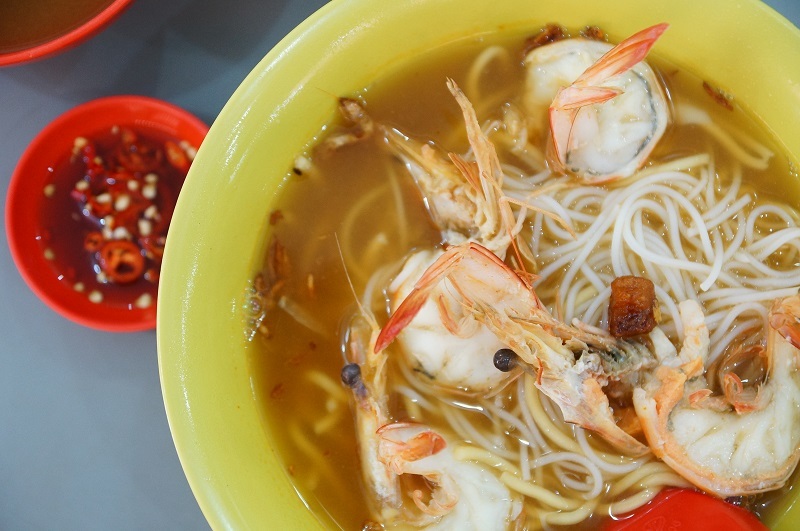 So without further ado, here are our top picks of the best prawn noodles in Singapore. Note: our picks are in no order of merit. If we’ve missed out any prawn mee contenders you feel strongly about, let us know in the comments! From the man on the street to the overtly wealthy (judging by the luxury cars parked along the road! 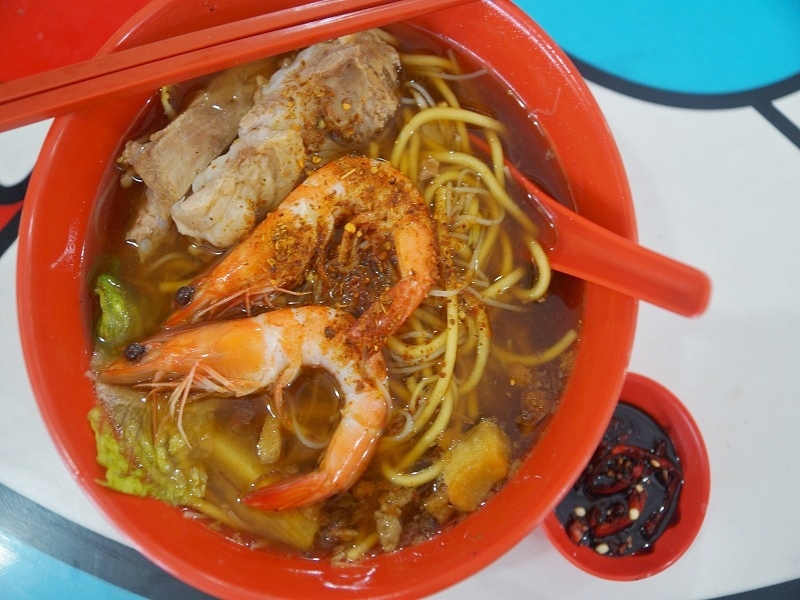 ), the popularity of this succulent prawn mee is evident. Staffed by at least 10 workers to keep up with orders, the demand for their noodles is unmistakeable. The broth gets more robust as the day goes on, with the stock becoming more intense. So come earlier for a lighter broth – and in the evening for a strong, thicker prawn soup! 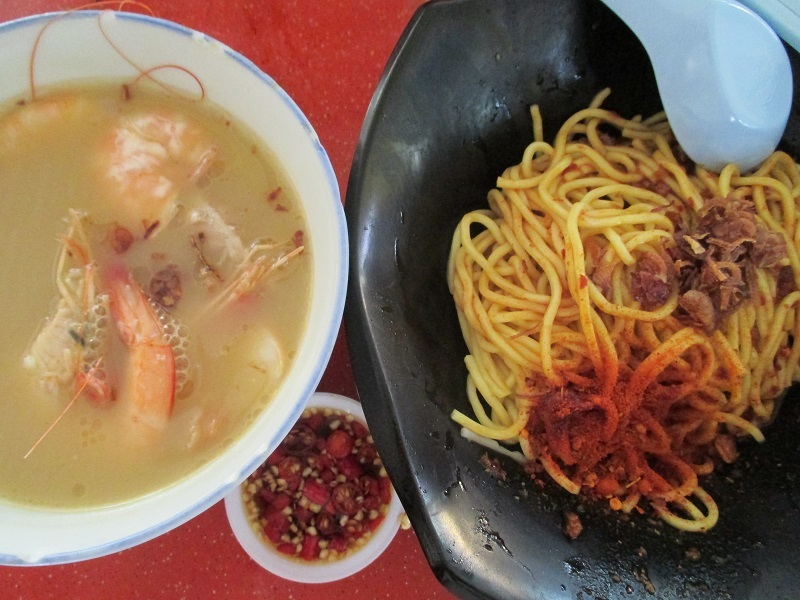 Similar to Jalan Sultan Prawn Mee, this stall is well received by people working in the city. This is also perhaps the nearest prawn mee to those staying in the West. Operating from the famous Riverside food centre at Zion road, this one man operation is a busy one. We like the broth and the prawn mee here a lot but the occasionally rushed job does compromise the standard of the prawn mee. Inconsistency might be a weakness here. Robust prawn broth, delectable dry noodles, cheap and good – what’s not to like? Many people definitely concur -the long queue here is a true testament to its quality. Newton Big prawn mee at Defu has a very impressive prawn broth, the dry version is equally good – you’d be back for more! This is another hidden gem that you don’t want to miss out on. Happy prawn noodle eating! And tell us which are your favourites in the comments below! have you try the one at beo crescent? ha ha prawn mee. authentic prawn mee whereas the one you guy mentioned taste of pork lard. go try it. you will be surprised. Richard, you have the address? Would like to try it out one of the days if possible. The number 1 is true but the pictures do not look anything like what they serve. Next they cut the prawns in half and not as per what you said in the post. Just giving my 2 cents worth as people might be misled by your post. Noted and Thanks for the good info, we will put it on our hunting list ! Cheers! 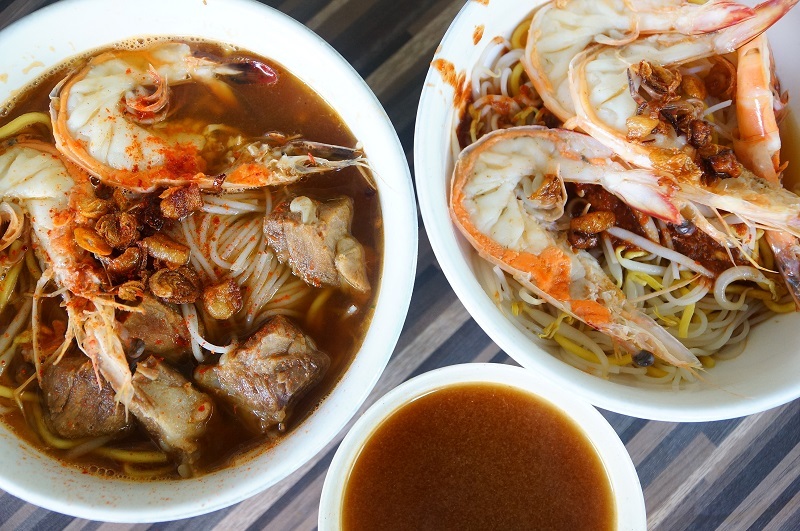 Hi, thanks for the feedback and we have double verified the photos posted and confirmed the picture was incorrect on the Beach Road Prawn Mee. We have corrected the photos immediately and sincerely apology for the errors and any inconvenience caused. We are truly grateful readers like yourself for pointing out the mistake, a mistake is mistake and we will be more prudent in future to ensure the accuracy. Thanks! Have you try the one at Adam Road Hawker center? Have you reviewed Hoe Nam Prawn noodle at 31 Tai Thong Crescent? 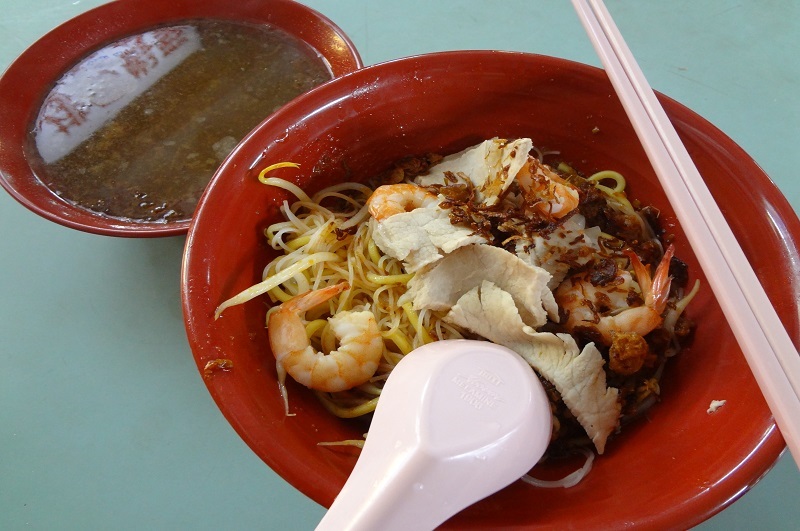 Yes, we have reviewed the stall, pls refer to http://ieatandeat.sg/river-south-hoe-nam-prawn-noodles/. You should try the Shun Shun Prawn Noodle at Blk 824 Tampines Street 81. The pork rib noodle soup is amazing. There are a few shun shun in that area, but only the one in blk 824 is authentic and delicious! Noted, will definitely drop by one of the days. Wow… must try from the way you describe the prawn mee. will definitely check it out. Thanks. Hi, you should try this prawn mee if you have yet to and you will definitely include it to your list. Best to go there around dinner timing because that’s when the original cook is around as that is a 24 hour shop. 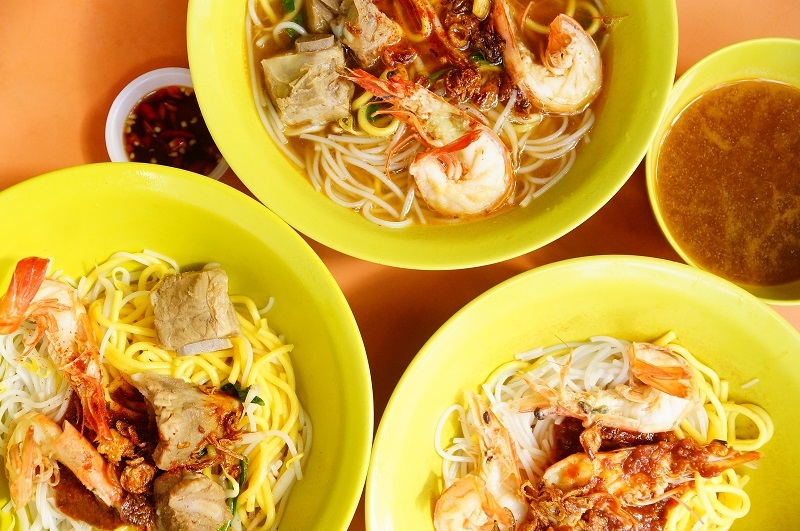 Its commonly known as the “Geylang Lorong 16 Prawn Mee.” Whether you are having it soup-base or dried with bone rib soup on the side, they taste equally delicious. And the chilli pays even more compliments to the prawn mee if you are eating the dried-base. Thanks for the sharing, we have taken note the address and will pay a visit one of the days. I had tried all, not so good as rated. Taste is subjective and we fully respect your view. Do share with us if you have any good recommendation. Thanks. Noted and Thanks, will try it out one of the days. Thanks for the info, we have to check it out one of the days.